Expired: [US] UCS MF 10179 on Woot? Anyone know if this is legit? The price isn't bad -- about a 10% to current Bricklink prices, it looks like. Ok, in for one... I am curious to see what shows up. Woot is owned by Amazon and they are about 30 minutes from my home, so not terribably worried about it. Very curious as to where they got them however. This arrives on your porch. Hmmm, I initially though this to be tempting for resale purposes, but based on recent ebay sold listings at around $2700 or less, it doesn't seem like there's sufficient profit potential after fees in the near term. Add to that the potential for this to be illegitimate in some form or another, and it just doesn't seem worth the trouble, at least for me. I wouldn't mind one for myself, but it would have to be a bit less than $2200. Well they were sold out. Looks like only 4 were available. Woot is completely legit. I've ordered literally hundreds of items from them over the years. From what I can tell, it looks like they only had 3 of them. I wouldn't have been too worried about legitimacy with Woot/Amazon. They're definitely going to take care of you if anything was wrong with them. It's possible Amazon found a few of them sitting in a warehouse and gave them to Woot. That seems to be the case with a lot of Woot's abstract stuff. I'll post an update whenever something shows up, if something ever shows up. Unbelievable. I wish I'd seen this. It was only posted for 2 hours, a very small window to see it. As someone else mentioned unless your selling them somewhere that doesnt charge a % of the purchase price, is it really that much of a bargain/great find? As the cheapest on Amazon is $3999 I suppose if you can sell it for something more then $3100 relatively quick it wouldn't be too bad. :) Yes, but looking at the sales rank, it won't sell any time soon at that price. It costs nothing to list one there, but frankly some of those are "wishful thinking" prices. 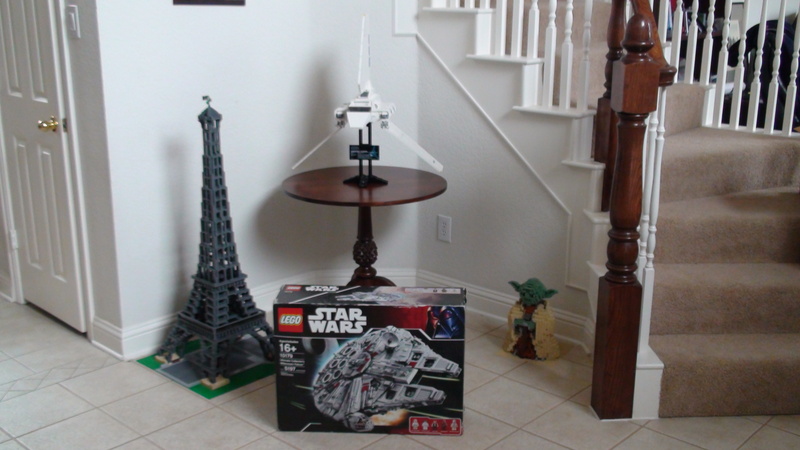 I didn't buy this UCS Falcon to make money, I bought it more as an amusement than anything else, to see what showed up. I figure that, worse case, someone will give me what I paid for it pretty quickly, if offered. At least in my experience, it's an easy local sale since it's a rare find nowadays. Of course I'm in a heavily populated area . . .
^I also thought about selling it locally at first, but then thought a ±$2,500 cash transaction with a stranger from Craigslist seems a little risky, at least for me (especially considering the relatively small profit). I'd like to think that most people who would be looking for this aren't the type of people who would rob you, but you never know. Do the deal in the lobby of your bank. My bank tellers know me, they gave me a desk to sit at. It would be a whole other level of stupid to try and rob someone in a bank. ^[cough] Its a single anecdote based on a comment made by someone else. I wasn't talking about any single comment; I count 7 posts in this thread that discuss reselling. At any rate, my [cough] is as gentle a reminder as I can give; I'd prefer it wasn't met with resistance. A little rough around the edges, but it was real! cool how much was it listed for on woot? Mine is scheduled to arrive tomorrow, I'll update once it gets here what kind of condition it is in. Makes you wonder where Woot got their hands on 4 of these. Of course, you meant to say "She got a little cooked, but she's Okay." "She may not look like much, but she's got it where it counts." Mine just arrived tonight... it looks, more or less, like the one already pictured. The 4 seals are intact, but it looks like it was shipped one too many times. Interestingly enough, it came from Amazon, so Woot! is now using Amazon's warehouse system for shipping. Which makes since, Woot! is owned by Amazon. That probably explains the condition, it was not packed in the LEGO shipping box and it came in a dinky crap Amazon box with no padding or protection whatsoever. 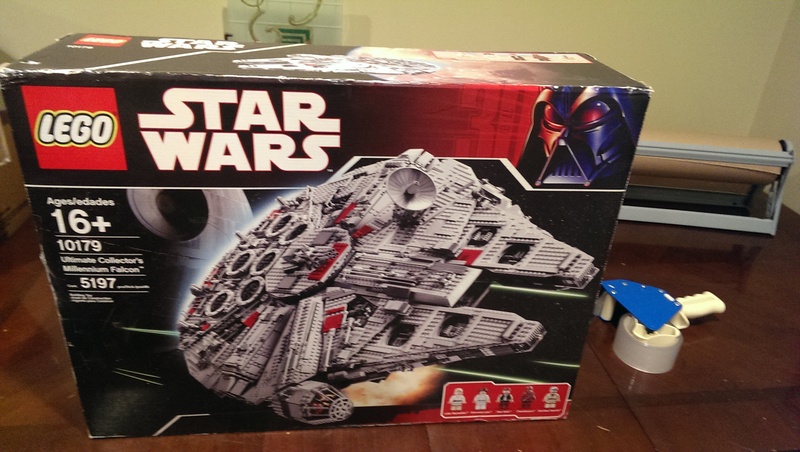 A new, unbuilt UCS Falcon? LFT - Too bad Woot isn't nearly as great at customer service as their parent, eh? I used to buy a lot on woot, including their bag of crap.. Only had to deal with their customer service a 2 or 3 times and they were top notch. Every time they really made up for the mistake or damaged packages. I may well take a picture and ask for 10% off, but frankly it was priced fairly all things considered. @ColoradoBricks - I agree that their customer service is pretty good. They've willingly eaten the cost of my own errors in ordering/paying/etc. It's just a little less convenient than Amazon, where I can click a "chat" link, talk to a rep instantly, and get them to agree to a 25% refund based on damage during shipping. All that done in 5 minutes. LFT - I would definitely ask for 10% off. It was sold as 'new.' I wouldn't consider something in a box like that to be new, but I'm pickier than average. Looks pretty rough. Is it what you expected? Probably. Is it what they described? To me, no. Probably the perfect opportunity to build and display it for a while. While that box condition would not have bothered me at RRP/500, I didn't see the description and personally if I had paid $2200 for it I would have expected better. It was a deal but not a screaming monkey deal. I wouldn't blame you for trying to recoup some money if they readily offer it. For the $2200 price of the listing, they should have described the shelfwear with Woot humor. But as BTHodgeman said, I don't think you're very surprised to find that the box looks like it fell off the proverbial truck or was kicked around, forgotten, and recently discovered in a warehouse. In fact, you said: "I bought it more as an amusement than anything else, to see what showed up." The final test? It looks like it's eligible for return. If they said "Sorry the condition wasn't as you expected; unfortunately we don't have any other stock to offer a replacement. Would you like to return it for a refund?"... would you? Since it's obviously not replaceable with stock on hand, I'd toss out to them "Ok, let me have a 20% discount." How about you add some color to those white walls. I'm sure they considered that, but they were concerned how their Lego sets would contrast with the background. Actually, our house is 13 years old and we have yet to paint any of the walls, the whole place is white. Yes, we're bored with it, but moving everything to paint, yuck. I'd be grateful that it was a legitimate sale and that you had the opportunity to purchase it. I know that money was transacted but as Gramps used to say “don’t look a gift horse in the mouth”. 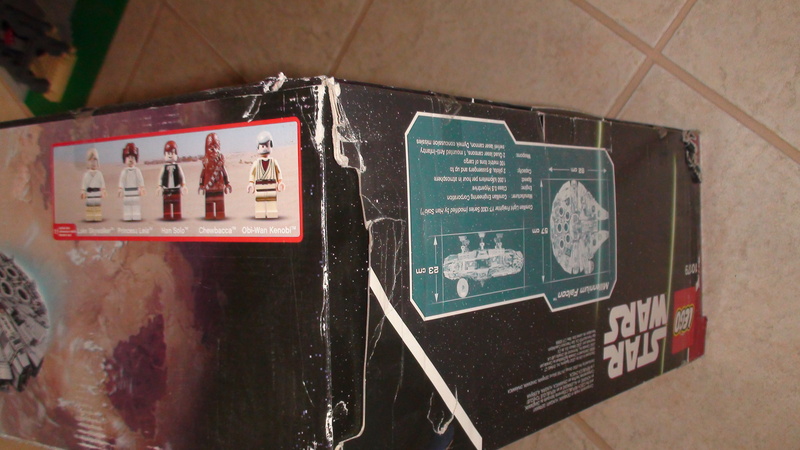 $2200 for a sealed model is an event that will not likely happen again. ^ That is a perfectly reasonable way to look at it. 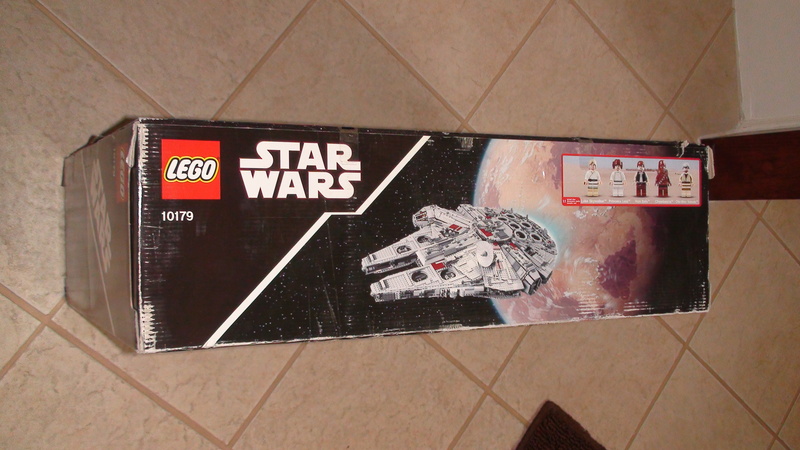 If the goal was to obtain a new, sealed copy of UCS Falcon to build, clearly this was one of the lowest priced ways to do it in 2014. Will it happen again? 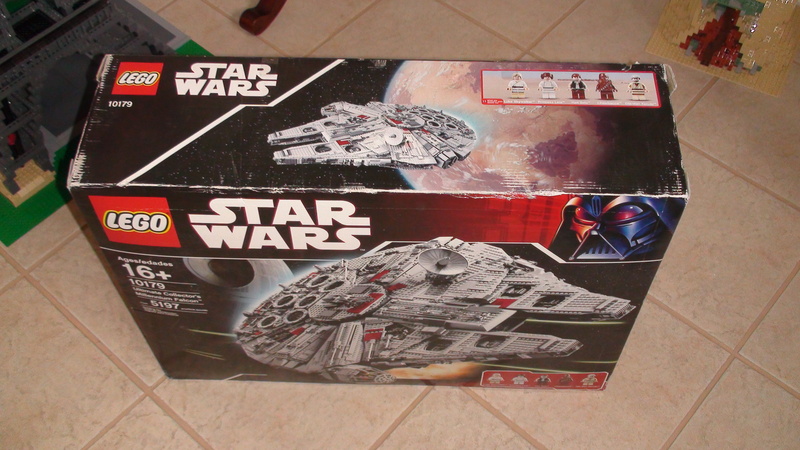 It could, if they rehash the UCS Falcon again. Double that if they improve it and put an interior in it. I think a new and improved UCS Falcon, released 2-3 years from now, with a full interior, priced at $600, would sell reasonably well and would crushed the value of the first one. Used copies of the first UCS X-Wing have fallen quite a bit in price, how have the sealed box copies done? ^ And that's exactally how Lego is dealing with the problem of those us pesky re-sellers. Along with flooding the market, upgrading the popular sets to de-value hot/collectable sets. A nice deal for 2,200. 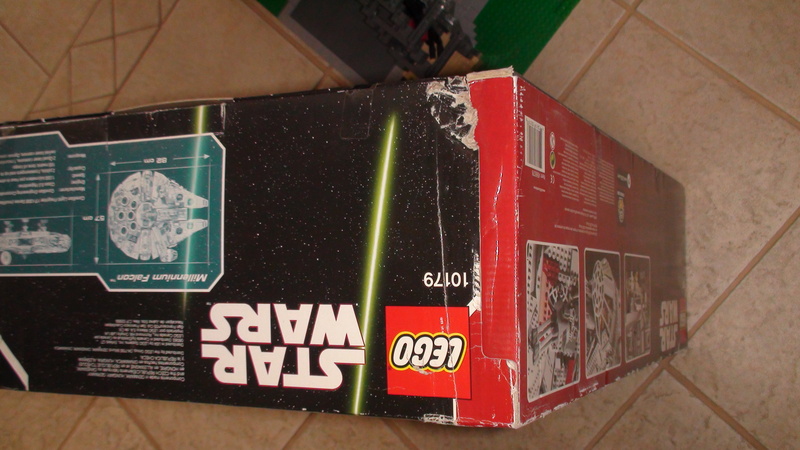 If you're not happy with the box condition, return it to woot. I always forget how big the Eiffel Tower is till I see a picture.